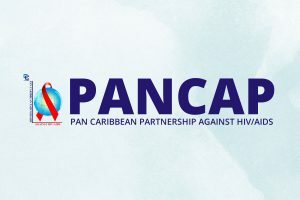 The Pan-Caribbean Partnership against HIV and AIDS (PANCAP), the mechanism that provides a structured and unified approach to the Caribbean’s response to the HIV epidemic, will host the Joint Regional Dialogue with Faith Leaders, Parliamentarians, Civil Society Leaders, National AIDS Programme Managers and Youth Leaders. Approximately 60 delegates representing Parliamentarians, Faith Leaders, Youth Leaders, Key Populations, People Living with HIV and Civil Society from across the Caribbean will meet in Port-of-Spain, Republic of Trinidad and Tobago on 24 – 25 April 2018. “Their major focus as stakeholder groups under the PANCAP Justice for ALL (JFA) Programme is how best to collaborate to end the AIDS epidemic,” PANCAP said in a statement on Monday. Since the inauguration of the JFA Programme in November 2013, PANCAP has convened approximately 16 consultations with national and regional stakeholder groups, meeting separately and in some cases jointly. All groups have agreed to contribute to ending AIDS around 15 actionable recommendations included in the PANCAP JFA Road Map. Some of these actions are already being implemented. Others can be implemented immediately while a few others require further discussion for implementation in the medium and long terms. PANCAP Director, Mr Dereck Springer referring to the latest status report on AIDS by UNAIDS is of the view that “while there have been many successes in the areas of prevention and treatment, much more has to be done with respect to behaviour change, reducing stigma and discrimination, sustainable financing for HIV and integrated health if we are to get to the finishing line. AIDS is far from over”. Indeed, the Caribbean can celebrate the fact that seven of the 11 Countries in the World to achieve the elimination of mother-to-child transmission are from this region and approximately 52 percent of People Living with HIV are on treatment today compared to less than 5% when PANCAP was established in 2001. Scientific studies have established the 90-90-90 Targets. These reveal that if by 2020, 90 percent of the people living with HIV get tested, 90 percent of those testing positive are treated immediately and 90 percent of those on treatment achieve low levels of virus in their blood so as not to transmit the disease, AIDS can be ended by 2030. This multi-stakeholder Consultation is a continuation of an ongoing dialogue. It is organized to give each stakeholder group an opportunity to propose how they plan to contribute to achieving the end of AIDS and what type of collaboration is required. The Regional Parliamentarians Forum held in Jamaica in May 2017 comprising 55 participants from government and opposition parties agreed to examine how best to implement the PANCAP Model Anti-Discrimination policies approved by the CARICOM Legal Affairs Committee in 2012. Approximately 60 Faith Leaders representing a cross section of religious denominations from across the region met in the Republic of Trinidad and Tobago in February 2017 and issued a declaration with 10 actionable recommendations. Among the recommendations was to establish a Regional Consultative Group and National Faith Leaders Network and to include representatives of Key Populations to discuss the way forward. This was followed by a joint consultation of Faith Leaders and Key Populations in Suriname in February 2018. Mr Colin Robinson, Chair of the Coalition Advocating for Inclusion of Sexual Orientation (CAISO) and Co-Chair of the Joint Consultation warned that while we expect to encounter differences in opinions, this multi stakeholder consultation will be meaningful only if participants put forward frank ideas and are committed to honesty. Among the recommendations to advance policies and programmes designed to reduce stigma and discrimination were calls to the faith community to “create spaces of hospitality” based on human rights for all, reach out to the marginalized groups and incorporate sexual education in their programmes. Key Populations were requested to foster a spirit of appreciation for the differences among religious leaders and denominations through respectful engagement. “This multi stakeholder consultation must constructively chart the way forward by accelerating the implementation of those common agreements while working through respectful dialogue rather than dogmatism to overcome differences among and even within stakeholder groups. Only in this way can we contribute to ending AIDS” said Dr Edward Greene former UN Secretary General Special Envoy for HIV in the Caribbean, now PANCAP Special Advisor.